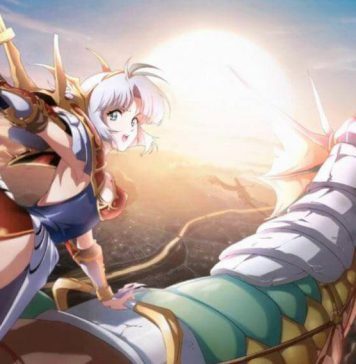 This Langrisser Mobile Beginner Guide will give you a general overview of the entire game without spoiling its story, so for those who are new and semi-experienced alike we hope you will be able to learn something from it. To begin with, Langrisser Mobile is a gacha based strategy roleplaying game where you command a force of around 5 Heroes to do battle against demons, monsters, dragons, and even other players and their own heroes in real-time PVP. 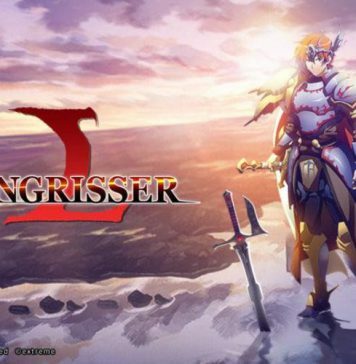 Langrisser is a video game franchise dating back to the early 90’s with its entries Langrisser I to V, including the popular alternate version of its second game Der Langrisser, and now the game franchise has returned from its 90’s roots to the mobile scene without sacrificing the strategic depth it was known for! Now, what is a Gacha? A Gacha is a type of game where you don’t just buy the game and get its characters, or buy them via DLC, you pull for them in-game through some method where you use the game’s currency to obtain characters to play with. Currency can usually be obtained in-game through playing it over time, or by paying real life currency for it. Many players do just fine in various Gachas as FTP (Free to Play) players who do not spend money, so if you live on a budget you shouldn’t have to worry: Langrisser Mobile is one of the most FTP-friendly Gachas there are and you won’t have to spend money on it to play and enjoy the game. 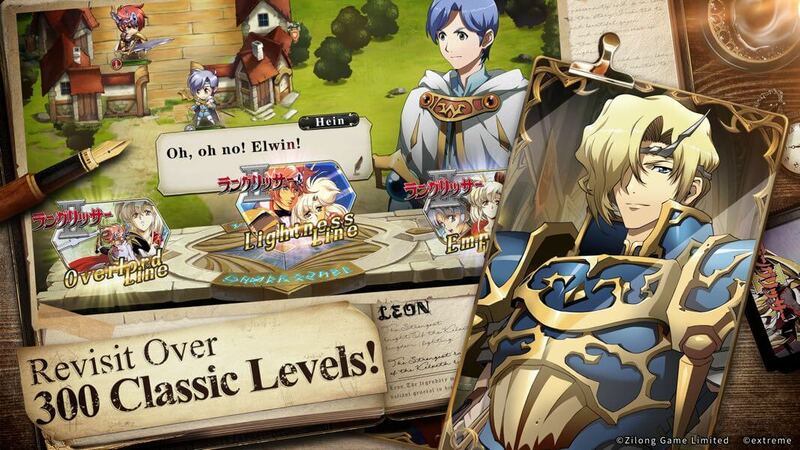 With these basics in mind, let us move onto the game’s features and gameplay section of this Langrisser Mobile beginner guide so you can understand it better. 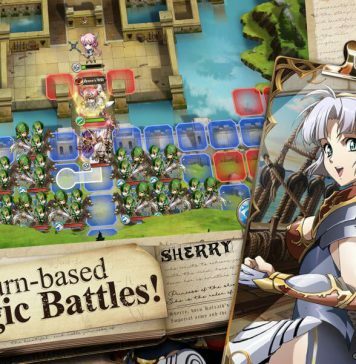 As a strategy video game Langrisser is not lacking in terms of both strategic capabilities or in skill expression, allowing players to use a variety of characters, equipment, enchantments, and tactics to take on a variety of tasks ranging from the simple ‘wipe out all enemy units’ to defeating a giant Dragon to even racing across a map to reach an object first. Object you need to reach on the other side of a wall? Chain units with teleportation abilities to reach it before your enemy can, use equipment which boosts movement range, or even just units with naturally large movement range to counter the hazards in your way. Need to wipe out as many enemies as possible in a limited number of turns? Utilize area-of-effect abilities and spells, or use the natural attack reset of certain units such as Cherie to hit twice in one turn. The game allows you to take a variety of approaches to its goals, so feel free to experiment! Part of what allows Langrisser to possess its level of strategic depth is something basic yet important: the map size. 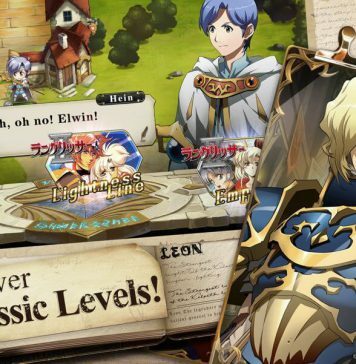 Mobile games tend to have smaller maps or displays to allow for them to fit on phones, but Langrisser doesn’t do that: its maps are large just like they were in their original games, and so while you might have to scroll a little bit to the right and left you can explore wide maps with various sections to them with different terrain and aspects which allow them to possess strategic depth. Chasms can be dealt with quickly by flying units, but they may be cut off from the rest of your group since unless everyone is a flier you are risking the unit racing ahead. Aquatic units can move across water (albeit not beaches) better than normal units, but their water-specific skills can’t be put to use without some effort on land meaning your positioning and how you approach certain areas matters. Making use of things like castle walls you can climb, mountains, forests, or even small houses and forts can make the difference in combat, so the large map size in Langrisser gives way to a myriad of combat situations. Your Heroes will be able to move across them just fine given that their base movement is fairly large and there are ways to increase it if need be, so don’t worry about having to slog across them either. In this Langrisser Mobile beginner guide section, there will be more information about equipment and enchanting. There are four slots for equipment in Langrisser, that being a weapon, an armor chest-piece, your headgear, and an accessory. Each Hero can swap these interchangeably, but some classes can use certain ones while others can’t, so this should be kept in mind. Like with Heroes, equipment can come in multiple rarities: R, SR, and SRR. Equipment grants you stats, and the stats given increase based on what level your equipment is. Equipment levels increase based on how much materials you use on them, and at certain milestones (level 10 for example) they may grant additional effects to buff your character further which will be noted on their description. They have maximum levels they can reach though, at which point you will need to use in-game resources to increase their level cap, so this should be kept in mind. There are various “Enchantments” in the game as well which you can put onto equipment to improve it. Each enchantment will grant a specific effect unique to it (such as increasing Crit Chance by a flat amount), then grant randomly generated stats in addition to that. Using in-game resources you can re-roll the secondary stats, so if you aren’t happy with the random stats it’s alright. Enchantments can be bought from the in-game store with gold, but tend to be expensive so be sure the ones you are buying are ones you will be using. Enchantments have a special benefit where if your equipment on a Hero all shares the same type of enchantment you will be able to gain further benefits such as increased stats, marked in-game by the signifier of (2) and (4) where 2 is the benefit of having 2 pieces of gear with the same effect and (4) is having it all match. Equipment is how you can min-max your characters, so it is important…but don’t waste your summoning tickets on it basically ever. You can earn equipment through in-game battles against dragons and through events, while Heroes have to be summoned, so saving summoning tickets for Heroes specifically is the optimal way to utilize them. Good news, there is one! I won’t spoil too much for you in this Langrisser Mobile beginner guide, but progressing in the story is important as it will unlock new features/modes for you to play and grant you resources to use. This said, it also has limits based on your account level: you can’t progress past certain points so you have to make sure to keep leveling through the various modes afforded by the game. One good thing however is that the game allows you to actually travel across a map, giving you a real sense of the geography and world you are playing within. There are many, so I will just go over their basics and purpose here in this Langrisser Mobile beginner guide. You can face other players in real-time PVP, or just whatever team they have on defense, to test your mettle and earn sizable rewards each week. It is not do or die if you aren’t top tier in it, but at least putting the effort in can earn you important rewards like Runestones. Haven’t played Langrisser 1, 2, etc? Well don’t worry, their campaigns are included in Langrisser Mobile for you to play through! This mode will let you experience the old stories with new animation and even voice acting, as well as grant you resources needed to upgrade your Heroes’ classes. What’s more it possesses the ability to be auto-completed once you clear a mission and earn all three ‘stars’ on it (meaning beat it within a certain number of turns, don’t lose too many forces, etc) so if you ever have spare stamina you can just click a button and both gain experience and also materials. This mode is great, and can even offer a challenge since it has the option to increase the difficulty for greater rewards. It’s not called this, but you get the idea: kill gobbos and you get gold. This will be your main source of income, so finding strategies to slay as many goblins as you can in a set time limit is important. AOE spells and units that attack twice are important here. This is one of the many ‘daily’ modes that you can do, so you have a limited amount of times you can efficiently do it per day. It has some fancier name, but again you get the point: kill dragons and you get equipment and resources for it such as enchantment stuff. This is your main source of gaining new equipment, and the higher the level of the dragon you choose to face the better the stuff you will get so be sure to try your best to beat the highest level you have access to. As another daily mode you will get a certain limit of times you can do it where you will get a large bonus for having won, then the rest will still give you rewards but less than when you have the bonus. The dragon you face rotates each day and each one grants different kinds of equipment and is weak to certain things, so just learn the schedule and you should be set. By facing odd beings known as Aniki you can obtain special materials you can then use in a training menu to increase the stats of your troops. Gaining 10% more in a stat can be a big deal, as can even the flat boosts available in the mode, so this is super important for you to do every day. The Anikis available to train every day vary, but there is one day a week where they all are available which is important as each one grants resources only for a couple of the types of troops. Through training you can also obtain new types of troops to use for your forces, making this mode invaluable for improving your overall fighting strength even more. To further your training you can also send your forces out on expeditions to get more resources in intervals of 2, 4, or 8 hours, and fortunately this doesn’t deprive you of the ability to use them so always try to have these running. Like with other daily modes you can do Aniki training a couple times with large bonuses before you start to get smaller returns, but unlike some other modes I actually recommend using excess stamina on still running Aniki gym battles even after you have exhausted your daily bonus since getting permanent bonus stats per Aniki training on all your forces is just too worth it to pass up. Fight robots your techno-mage NPC (for now, they revealed she will be playable at some point) makes for you to battle. This will grant you EXP potions which can be used to level your characters, but exp potions aren’t the most scarce resource in the game so of the various daily modes this is the one that is the least important overall. Anjelica is sorta adorable though, so not smashing her robots could be seen as a good thing. There will be occasional limited time events that crop up on your map that you can engage in to obtain various rewards. The specific mechanics of this mode is more well known by players of the Chinese version of the game who have more experience with it, but you can even earn gems (the currency used to summon heroes) if you so please. Using gifts acquired in the game you can grow closer to your Heroes, improving their stats and unlocking new dialogue with them. This is important as more stats for your Heroes can really supplement something lacking in their kit, and maxing out your bond unlocks ever more benefits for you. Think of it like the Aniki Gym Training for Heroes. A Guild is a grouping of players who can engage in group activities in PvE content to all gain important resources. To join or create a guild you must be level 30, and in addition to create a Guild you must also pay a dollar to do so. Co-op is something that can be done more generally and for various modes such as Aniki training where each player brings with them a couple units and then together they fight to complete a map. Doing this costs less Stamina than normal, about 20% less, so it is an efficient way to clear content so long as you have a friend you can synergize well with. This section of Langrisser Mobile beginner guide will be discussing about summoning. This will be your main (and usually only) method of obtaining Heroes, so you may as well learn a couple basics about it. To begin with, the chance you get an SSR unit is 2%. This is low, but the small cast size of the game means that the chance you get any individual SSR unit is much higher than in other games with like a hundred units in the SSR category. SR units are more common, but not overabundant, but there is a trick you can use to get them: by summoning 10 times at once (instead of summoning individually) you can get a guaranteed SR unit within the 10 Heroes summoned. Occasionally you will have certain focus banners that give you an increased chance when you get an SSR of it being one of the ones features on the banner. At launch this will be a banner for Leon and Bernhardt, two units of considerable power, and there will also be a banner for Elwin and Cherie. Since Cherie is being given out for free, I would personally recommend people use the Leon/Bernhardt banner. What is important to know about banners is that the game actually is quite generous in that if you have already pulled one of the SSR unit on the banner, the next time you pull a SSR unit on that banner it will be the other one instead most likely. Banners are a limited time event however, so make sure you use all the vouchers/gems you want on a banner before it is completed though. There are quite a few different resources in-game, so I will go over some of the more important ones here in this Langrisser Mobile beginner guide for you to keep in mind. The main resource used for many different things, it can be used at a shop that has different things you can buy every day as well as advancing your Heroes’ classes and other such useful things. While you may think you have a lot, it is easy to blow through it, so be wary to not run dry and be sure to kill many gobbos so you too can have gold. The resource you use to engage in other modes. It recovers at 1 per 5 minutes, and the maximum is 120. Most tasks require 10 to do, and when you level up you gain a boost to it. You can overcap on stamina, but it will not regenerate extra on top of that so make sure to always use the stamina you have be it by auto’ing a battle with the Anikis (easy enough if you know you can beat it at a tier without question) or by auto-completing/sweeping a Time Trials battle so Stamina does not go to waste. The “premium” currency of the game that can be used for various means. It can be technically farmed, but it is not common, so it should not be wasted: use it for summoning Heroes almost exclusively and not to recover stamina or gold. Twice per day (once in the first 12 hours of the server time, once in the second half of the server time per day) you can pick up two hamburgers. Hamburgers refill some of your stamina, and can be saved, so you can stockpile hamburgers as needed. Be sure to pick them up from the daily missions section of the game! Just twice per day and you’ll have as much stamina as you’ll want. A rare resource you can only really get via arena and guild activities, with scarcely any more coming from elsewhere, so be sure to hold onto them. They can be used to transfer to a new classline you haven’t done before on a Hero, but since you don’t need them (just gold) to transfer back to an old one you only need 2 per character to max them out…but since you can only get 1-3 per month this should demonstrate the importance of this resource. 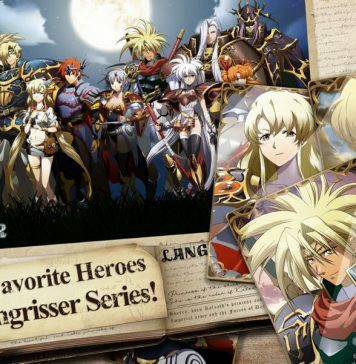 This Langrisser Mobile beginner guide is just a general overview of the features and things within the game, and so I hope you have been able to learn something from it. You can learn much more by playing and experiencing the game, as well as from asking specific questions to veterans, but I wanted to give people an overview of what to expect moving forward into their Langrisser experience.